ClinicalKey is a clinical information tool that searches extensive full-text holdings for clinical answers in journal articles, books, and videos. ClinicalKey for Nursing is a clinical information tool that searches extensive full-text holdings including evidence-based nursing monographs, clinical skills modules, books, journals, practice guidelines, and core measures with nursing recommendations. Additional content includes drug information, patient education, multimedia materials, nursing scales, core measures, and labs references and measurement considerations. 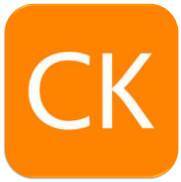 Introductory videos and product information directly from ClinicalKey.